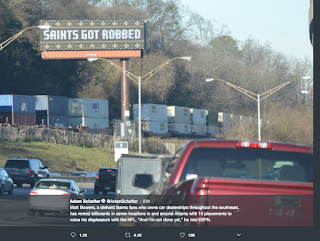 New Orleans Saints fans are still livid after being ROBBED of the NFC Championship win against the Los Angeles Rams. 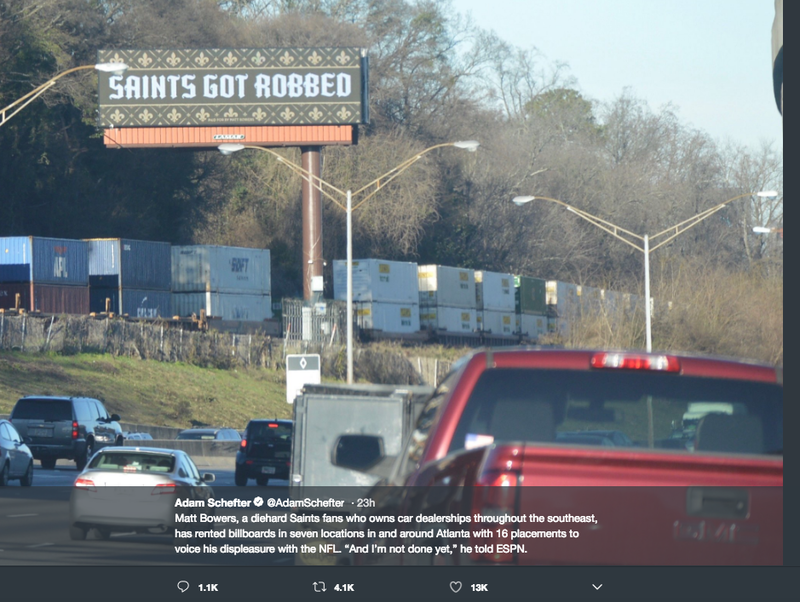 In one of the biggest, most blatant, and worst "no-calls" in NFL history, the Saints were defeated 23-20 as the Rams advance to the Super Bowl. 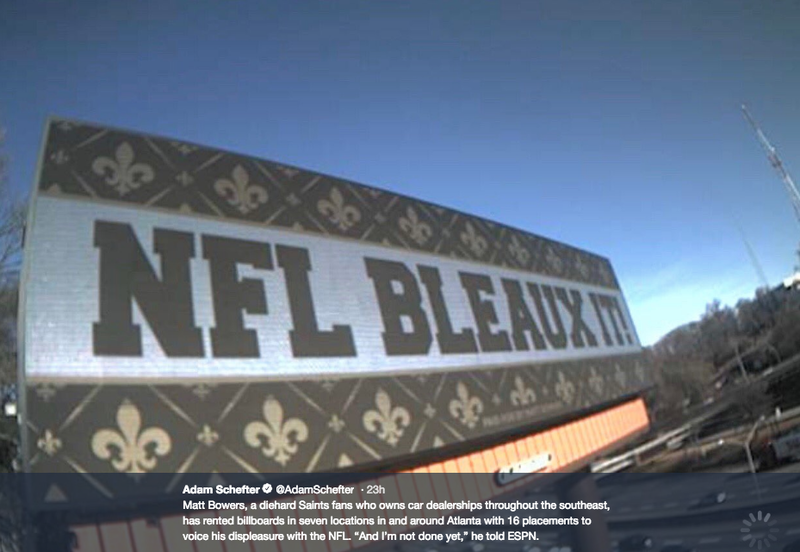 Saints season-ticket holders are suing NFL Commissioner Roger Goodell and the NFL for a range of damages including "distrust of the game, mental anguish" and more. 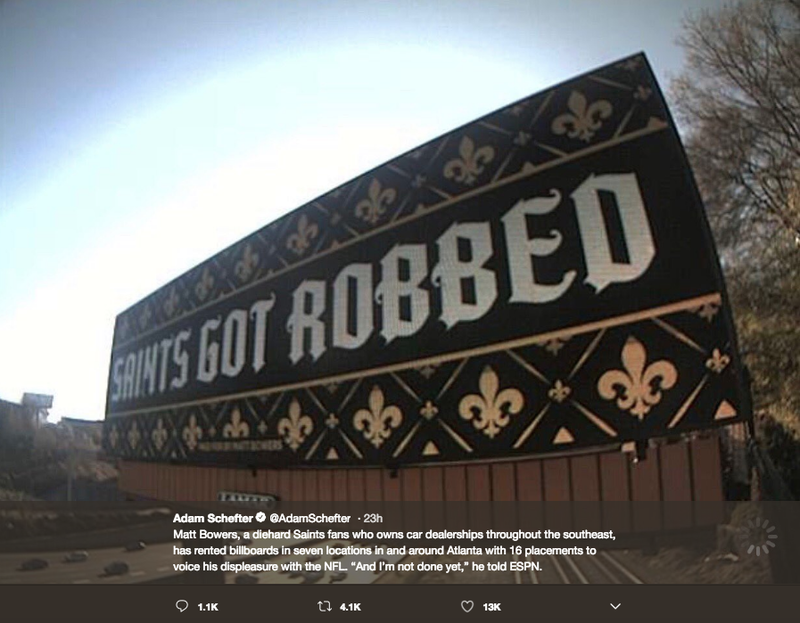 There are even billboards popping up around New Orleans! 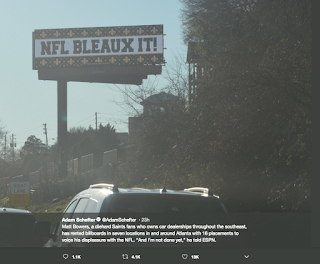 Do you think the NFL should give them a rematch?